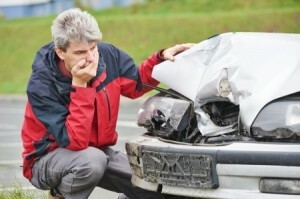 Millions of vehicle accidents occur around the world each year. And there is a continuing commitment of behalf of the automotive industry to help educate drivers on the dangers that they might encounter while on the road. In order to protect themselves when they begin their next journey, drivers might consider these five most common causes of accidents. With professionals working longer hours and spending more time on the road commuting to and from work, driver fatigue is becoming an ever-larger problem in North America. Drivers must remember to take quick breaks after 100 miles to ensure they’re alert and responsive to on-the-road incidents. With cell phones now a ubiquitous presence in the modern vehicle, a quick glance to a screen can lead to loss of vehicle control. Drivers must focus completely on the road and try to keep cell phones in an area where the screen is not visible. Whether it’s a medical problem or the result of inebriation, impaired driving is one of the leading causes of injuries and fatalities on Canadian roads. Drivers must consider alternatives when they’re not able to drive safely. Poor driving habits such as tailgating vehicles and undertaking are another of the leading causes of vehicle accidents. One of the most common habits is driving at unsafe speeds for the conditions. At speed, vehicles are less equipped to respond to emerging road conditions and drivers have less time to react. Cautious driving can often help prevent accidents caused by the road conditions. Whether it’s a small animal or a piece of another car, drivers should always be aware of the presence of obstacles on the road. These small elements can often cause dangerous swerving, which then puts others on the road at risk of an accident. It’s also important not to endanger personal safety when trying to remove obstacles on busy highways and city streets. Driving should be an enjoyable experience. But it’s imperative to take precautions and learn more about the common dangers on today’s roads. Responsible, thoughtful driving can ensure long-term road safety.